As people age, areas of the home that were once easy to navigate can represent difficulties. Tasks such as climbing stairs or getting into the bathtub are no longer as simple as they used to be. As such, many seniors are faced with the prospect of leaving their existing home and relocating to somewhere that is more suitable to their current abilities. However, according to a 2012 AARP study, approximately 90% of seniors would prefer to stay in their own home, and this number could well have increased by now. If one of those people is you or a loved one, then you’re left with a tough decision. Is it better to stay put and struggle or move to somewhere you don’t really want to be? 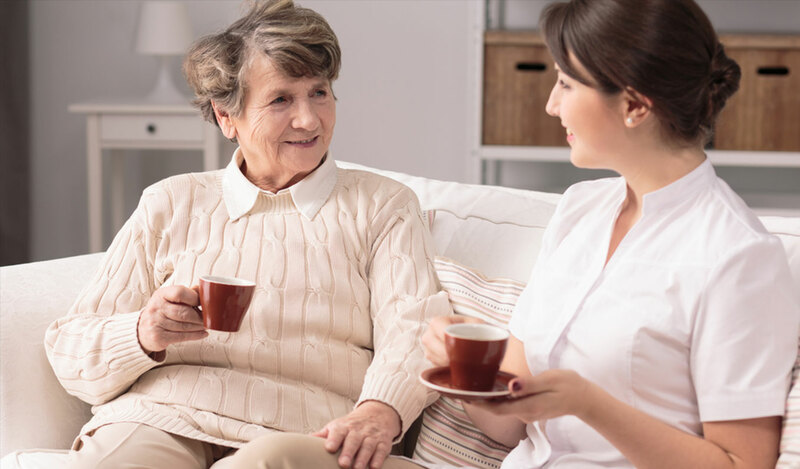 Thankfully, staying in your existing home, often dubbed “aging at home” can be a very viable solution that doesn’t have to be all that difficult. There are many and varied companies, entire industries even, devoted to helping adapt homes so that seniors can stay safely independent for longer. In this post, we’ll explain a range of home mobility solutions, including who they’re suitable for, their pros and cons, and how to go about purchasing them. 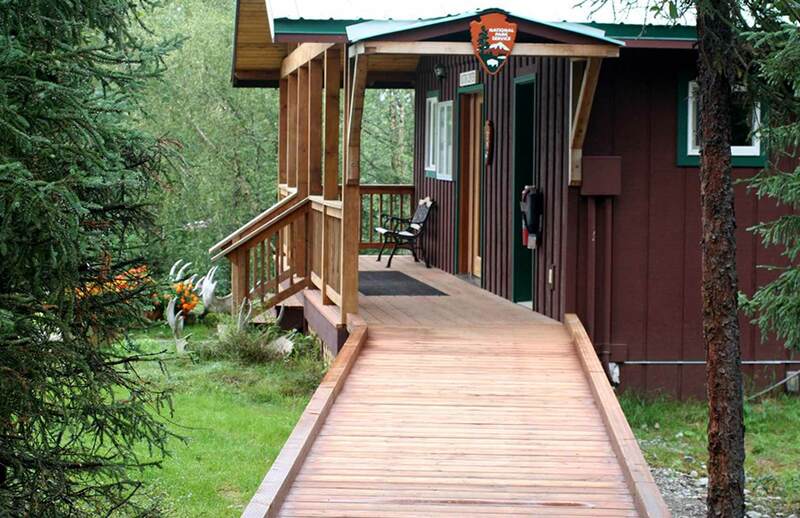 Ramps can replace a one or more steps within the home, and larger flights of steps outside the house. These are ideal for anyone using a wheelchair, or for people who find steps difficult but can manage a small incline. Although portable ramps are available, for in-home use, you’ll most likely want to go with a custom-built permanent solution such as those offered by Amramp. Ramps aren’t that complex, so if you have a friend or family member who is handy, they might be able to build and install one for you. Just be sure that they know what they’re doing. Bear in mind that you may need a permit for some ramps. One of the trickiest areas of the home to navigate is the bathroom. From getting in and out of the tub to using the washroom, there are several difficult tasks here. Plus, it’s the place where most people would like to maintain their independence for as long as possible. Bathroom modifications include the installation of a walk-in bathtub, a lowered sink for easy access for wheelchair users, and handles at appropriate locations for additional support. 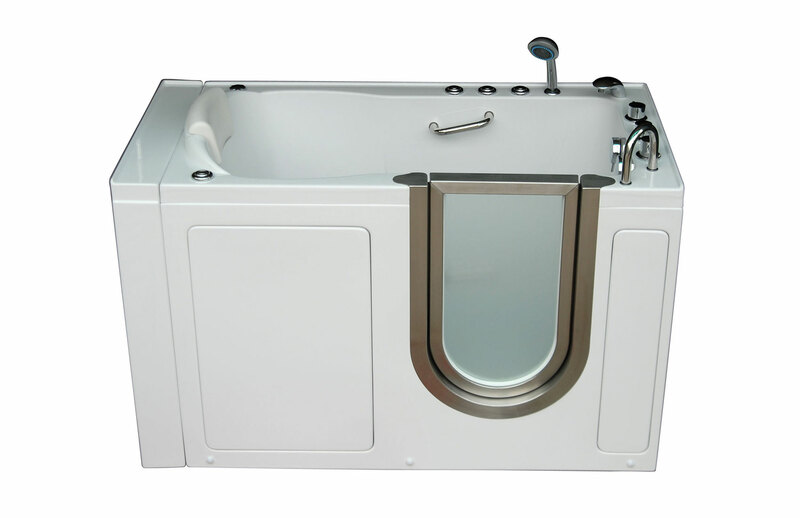 Walk-in bathtubs such as those offered by Ariel have come a long way since their inception, in terms of comfort and aesthetic. These and other accessible bathroom accessories can be added to your home without you having sacrifice on style. As this tend to be a fairly expensive home mobility solution, it’s important to do your research and get multiple quotes from different companies. Due to the cost involved, it’s a good idea to have the work completed by a professional. You definitely won’t want to have to rip anything out if something goes wrong. For many seniors, one of the biggest mobility issues at home is navigating stairs. Whether they walk unaided or use a cane or walker, walking up stairs can be far more difficult and dangerous than walking on a flat surface. Ideally, if you’re staying in your home, you’ll want convenient access to all levels, and a stair lift can be the perfect solution. A stair lift comprises a battery-powered seat attached to a rail that runs along the wall going up the stairs. All you need to do is sit down and relax and you’ll be transported comfortably and safely, bypassing the tricky stairs. There are variety of designs and models available depending on your personal needs and your home. When you’re choosing a stair lift, you need to ensure you select a knowledgeable and dependable provider. You’ll also need to assess the space you’re putting it in, decide on any special features you want, and find a lift that fits you comfortably. For wheelchair users, dealing with stairs might seem like an impossibility. For some, a stair lift might be an option. However, this would require transfer from the chair to the stair lift, as well as more than one wheelchair (one to keep at the top of the stairs). An alternative solution is a wheelchair lift which comes in two main types: vertical and inclined. 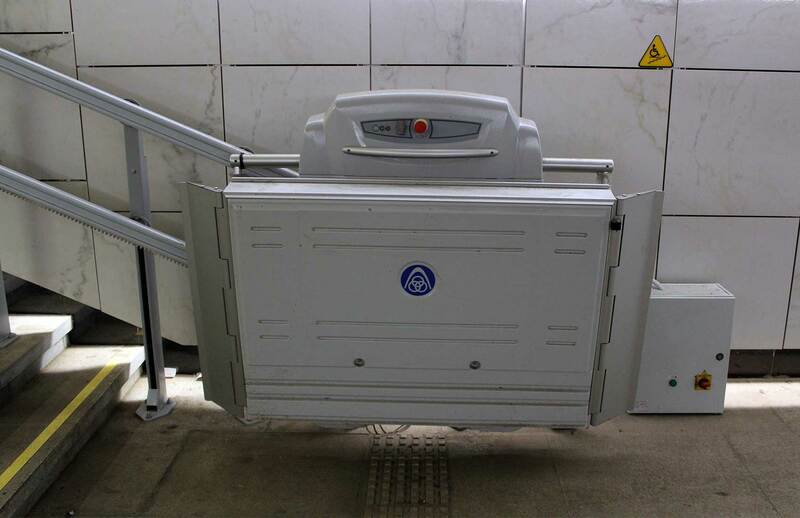 An inclined lift works similarly to a stair lift and can be used in the same manner. A vertical lift is more like an elevator, and can be installed in a different location to the set of stairs — often right next to it. Wheelchair lifts are offered by companies including Garaventa Lift, and come in various forms. As with stair lifts, you need to assess your space and find a wheelchair lift that’s suitable for your unique situation. Many seniors end up having to be lifted in and out of wheelchairs to get into bed, into a bath, and more. This can be dangerous for both parties and uncomfortable (physically and emotionally) for the senior. 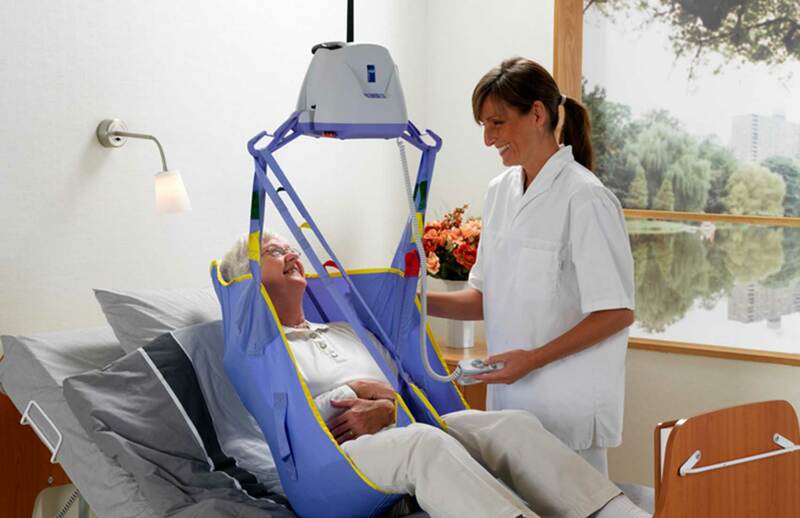 A ceiling lift can give them back their independence and reduce the need for lifting. A ceiling lift typically comprises a sling suspended from the ceiling, and can be moved along a rail. If the rail is installed appropriately, the lift can even offer an alternative to having to install a walk-in bathtub, which could save some money. One example of a ceiling lift is the Maxi Sky 2 offered by Arjo. When you’re ready to install a ceiling lift, it’s important to find a reputable manufacturer, such as Savaria, distributed in the USA by Span-America. One of the most crucial considerations will be the weight capacity, that is, the safe working load. Portable lifts are very similar to ceiling lifts in action. The big difference, of course, is that they don’t operate on a rail and, instead, come with a portable stand. 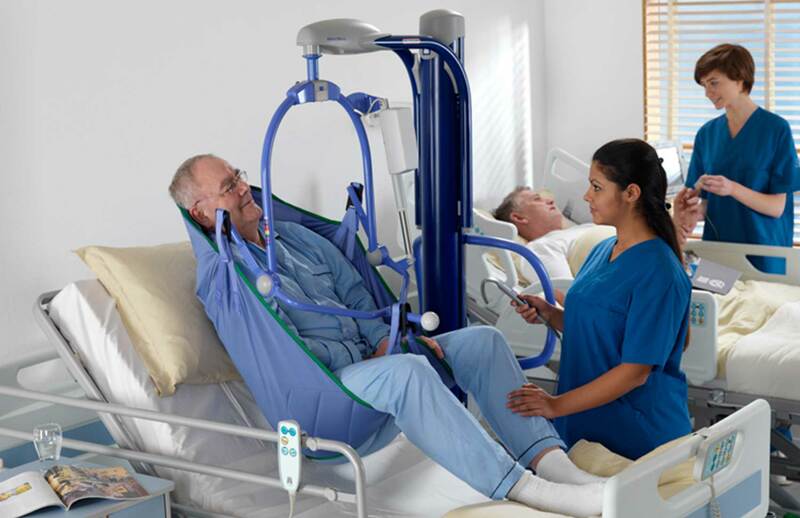 An example is the PL portable lift by Savaria. These are typically offered by the same suppliers as portable lifts. You’ll need to consider the floor space that the unit takes up as well as the weight capacity. Facilitating transfers from various positions can be particularly troublesome. For example, going from a couch or bed to a walker might be doable with help, but require some assistance, often from multiple people. Using a standing or raising aid in these and similar situations can negate the need for additional help from caregivers. Examples of standing and raising aids are those offered by Arjo. When shopping for a standing aid, you can choose from powered and manual options. You’ll also need to consider the weight capacity and any desired additional features, such as specialized hand grips, support harnesses, and ankle straps. Many people dream of the day they have a home with an elevator. But for plenty of seniors, it is less of a luxury and more of a necessity. 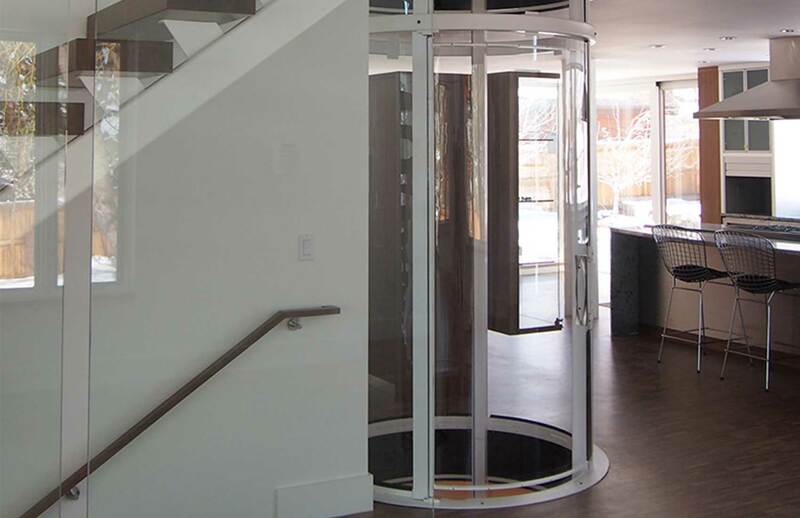 A home elevator is an expensive option, but might be the best one for some people. This is especially true if the stairs are unsuitable for a stair lift or wheelchair lift and there is no option of eliminating the need to access the upper level of the home. Several top companies specialize in producing and installing custom home elevators, such as Stiltz and Nationwide Lifts. When choosing an elevator, you’ll need to carefully consider the square footage it will take up and how its installation will impact the structure of your home. A once comfortable home can suddenly or gradually become a minefield of logistical issues. Thankfully, there are lots of options when it comes to adapting your home for your changing needs. 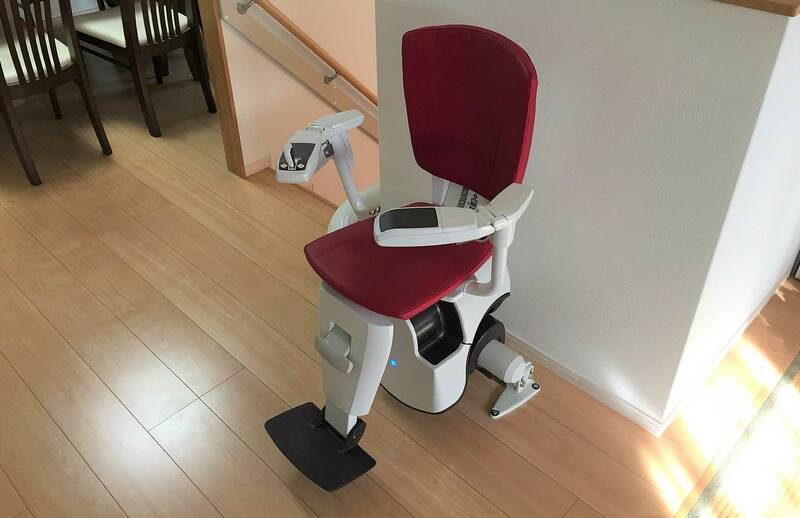 In this post, we’ve covered many of the home mobility solutions available for seniors. Now all that’s left is for you to select the ones that suit your specific needs and can make your everyday life better! Do you have any questions about home mobility solutions for seniors? Let us know in the comments section below!